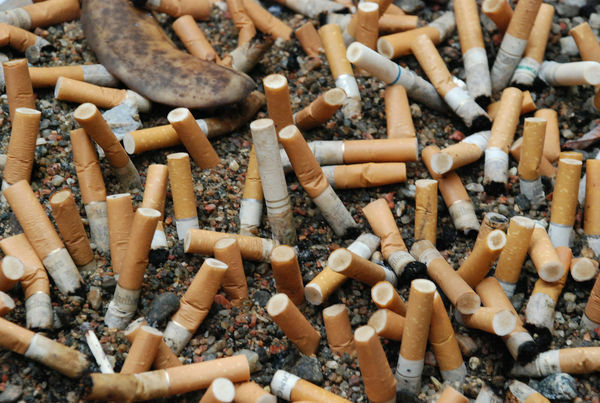 More than 45 million American smoke cigarettes. Over 50% of those smokers try to quit every year with minor success. E-Cigarettes are becoming the biggest thing for smokers trying to jump over the nicotine fence. 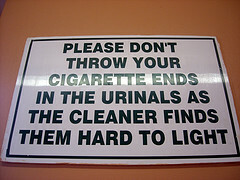 In fact, even smokers that try these electronic smokes with no intention of quitting cigarettes end up kicking the habit. Renovating Your Mind thinks that any device allowing nicotine addicts to break that habit should be promoted on all ends. In the pharmacy, we had patients on the nicotine patches, gums, and medications trying to stop smoking. Now, the FDA has decided it needs to regulate E-Cigarettes. They say they need research to determine positive effects and safety of the devices. It fascinates me that here you have a device whose inactive ingredients are either glycerin or propylene glycol. The active ingredient is nicotine. In comparison, a smoking cigarette emits thousands of chemicals. They include carcinogenic ones such as acetone, ammonia, arsenic, cadmium, carbon monoxide, DDT, formaldehyde, hydrogen cyanide, radioactive lead-210 and polonium-210, tar, toluene and on. Does the FDA think that E-Cigarettes would be any more toxic than cigarettes? There are only two chemicals used in most electronic cigarettes besides nicotine. They are glycerin and ethylene glycol. Amounts of these ingredients in electronic cigarettes are very low. The only way to get hurt you would be if someone threw a gallon container of each at your head. There is also a very small chance that you may be allergic to either one. Let’s take a look at the safety of glycerin and propylene glycol. They both have been used for years in fog machines for movies, commercials and TV shows. Many of the actresses and actors were singers so the various organizations like the Actors Guild were concerned about the chemical’s safety for their star’s vocal cords. After long-term studies, both glycerin and propylene glycol were found to be safe. The government had put both chemicals on the GRAS (Generally Recognized As Safe) list many decades ago. In my opinion, glycerin is a safer chemical than propylene glycol. So if you have a choice, purchase an E-Cigarette that uses the lowest amounts of propylene glycol or just glycerin alone. Recent Italian study showed that almost 9% of those trying to quit smoking had success in kicking the habit when going on E-Cigarettes. There is something quite amazing about this Italian research. 4% of subjects that were given electronic cigarettes with a placebo liquid were successful in stopping. So the oral fixation of just having something in your mouth will work for some smokers. Smokers that were given the highest amounts of liquid nicotine had the best success rate with 13% of them quitting. 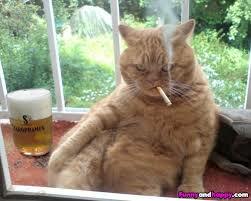 Nicotine by the way, is colorless, odorless and tasteless. Another wild thing about the Italian research was that all 300 enrolled smokers had no intention on quitting smoking. They were doing this study for the money. So having 9% cut out cigarettes was amazing! The study was funded by an e-cigarette company so it may biased. Would like to see this study repeated by Consumer Reports researchers. They never have any vested interest in any company’s products or services. There was a report from the Center For Disease Control that in 2009 over 50% of American smokers tried to break the habit. After trying the gums, patches and oral medications only 6% were successful after 1 year in kicking the nicotine demon out of their lives. 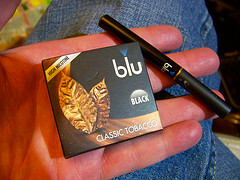 E-Cigarettes is great alternative when nothing else seems to work for the desperate smoker. Please let me know if anyone has tried an E-Cigarette.